Set the mood for relaxing and unwinding while adding something beautiful to your decor with this Buddha water feature. A stunning addition to a meditation room or any space with an Asian decor theme, the fountain features a three dimensional sculpture of the Buddha sitting in lotus position before a glowing orb. 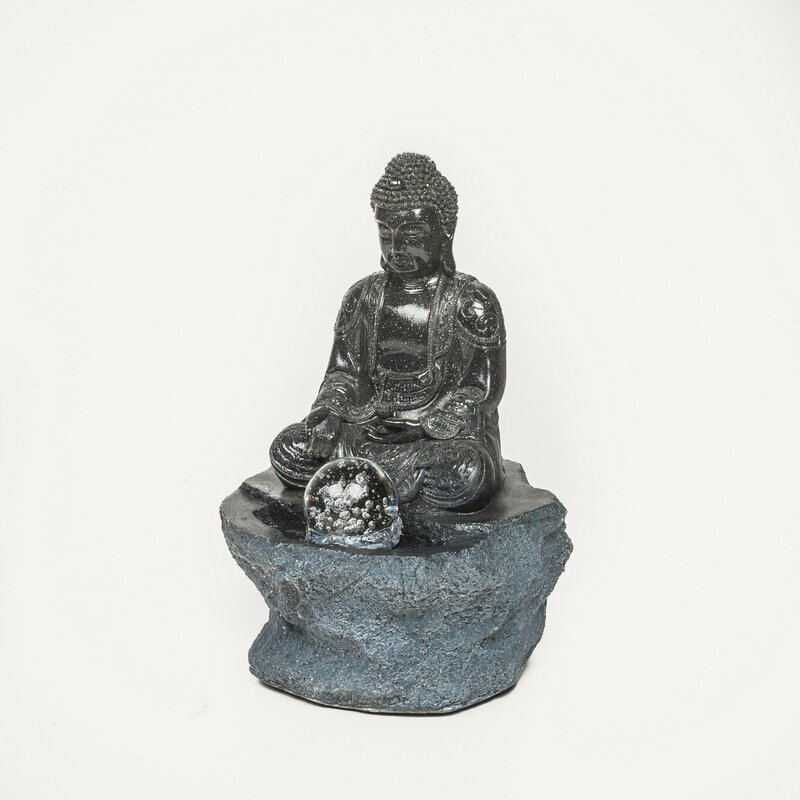 The Small Black Buddha with Ball is a small table-top water feature suitable for indoors or outdoors. The feature is of a Buddha sitting on a stone watching a glass ball spin on the water. The water feature is black with a "terrazzo-like" speckle. It is made from fibreglass and comes with a pump and LED lights.